There is palpable fear in the air as the organisers of African Movie Academy Awards (AMAA) wrap up plans for the event, which holds tomorrow Saturday, July 15 at the Convention Centre, Eko Hotels & Suites, Victoria Island, Lagos. Now, the question on stakeholders’ lips is: would this year’s AMAA end up another flop? According to an insider who spoke to TS Weekend during the week, all may not be well with the preparations for the awards. The source squeals: “Following the monumental flop of AMAA’s nomination party in Rwanda some weeks ago, I can authoritatively tell you that all is not well as there are palpable fears and apprehensions on the path of the organisers, sponsors and guests. “Over the years, AMAA has continued to under-deliver and this is becoming a source of worry for sponsors and industry stakeholders. The climax was the nomination party recently held in Rwanda. I hope the Kigali experience does not repeat itself in Lagos on Saturday. 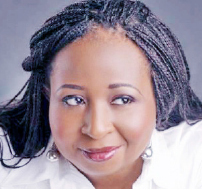 However, Tope Ajayi, AMAA’s publicist, has reassured Nigerians on the preparations for the event. Speaking to TS Weekend, he said: “The organising team of AMAA 2017 is working hard to have a great show in Lagos on Saturday. All the event elements have been put together and professionals are working tirelessly to put the show together. We are sure of having a great show that everyone will be proud of and it will be a world class production. Back from the dead, Ernest Asuzu says: Nollywood is evil!